Xylotrechus raghidae, described from Lebanon by Gianfranco Sama and Pierpaolo Rapuzzi in 2000 [✧], is rare species still known only from mountains of Lebanon and North Israel. Its biology is similar to the nearest taxon - Xylotrechus sieversi Ganglbauer, 1890. The depicted beetle was collected in Bsharri (بْشَرِّيْ‎) environs (1500 m a.s.l., Bsharri District, North Governorate, Lebanon). Catalogue commenté des Cerambycidae du Liban. 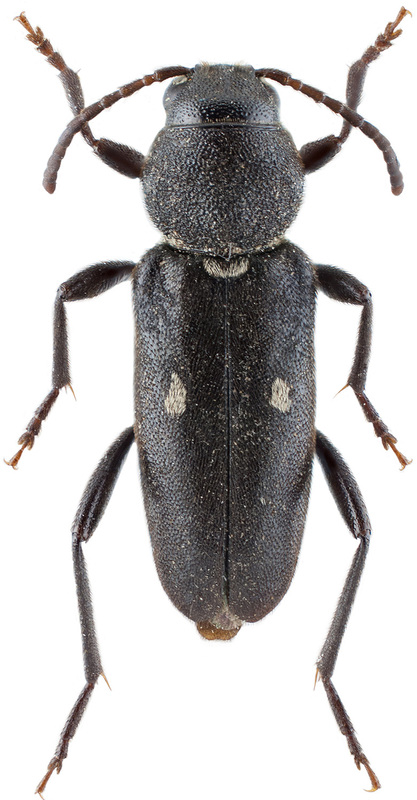 An annotated catalogue of the Cerambycidae of Lebanon (Insecta Coleoptera Cerambycidae).